For long lasting and stylish Wire Balustrading Melbourne solutions, trust the experienced team at Stainless Steel Projects. 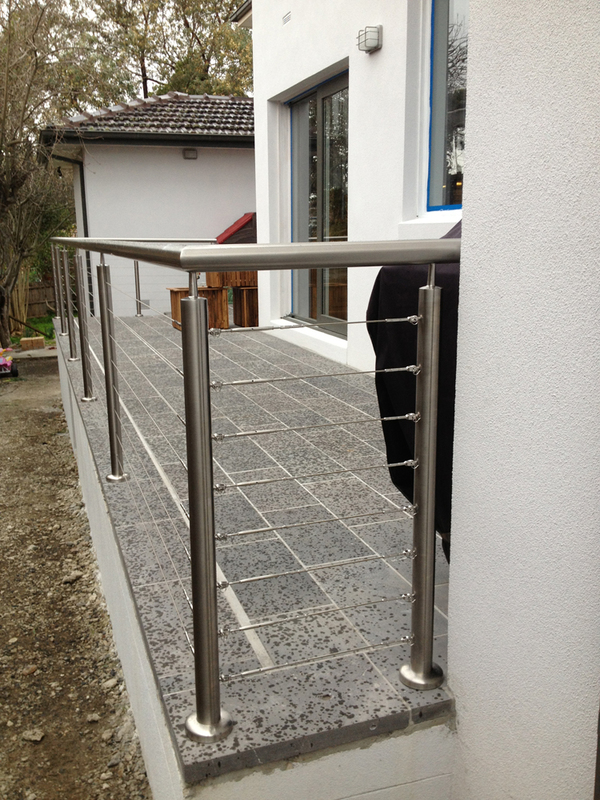 We have an extensive range of top qualityWire Balustrading Melbourne residents recommend. No matter how difficult the job, you can count on Stainless Steel Projects to deliver the most impressive stainless steel wire balustrade Melbourne has to offer. We can even design custom wire balustrades to fit even the most challenging area. Our comprehensive range of modern wire balustrade solutions are sure to meet your needs. Our dedicated team of experts are there to help you every step of the way; from design to on-site installation. We go to great lengths to ensure your wire balustrades are installed with precision and care. Call our friendly team today today for a free measure and quote. Our dedicated team of experts know how to deliver a flawless finish for your wire balustrade in Melbourne.